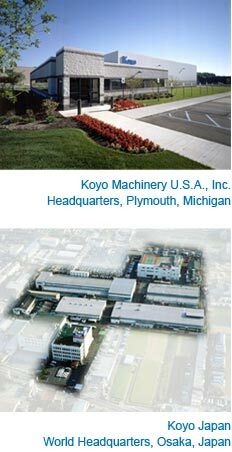 Koyo Machinery U.S.A., Inc. ("Koyo Machinery") is a Michigan corporation that was incorporated on December 4, 1991. It is a wholly-owned subsidiary of Koyo Machine Industries Co., Ltd. Koyo Machinery provides manufacturing products including grinding machines to its customers, which include Automotive, Heavy Equipment, Aerospace, Medical, IT, and other manufacturing industries. In addition to the noted products, Koyo Machinery furnishes engineering expertise to its customers. Koyo Machine Industries Co., Ltd. ("Koyo") was established in August 1961, in Japan as a wholly-owned subsidiary of JTEKT Group, which is publicly traded on the Tokyo Stock Exchange. Koyo produces various grinding machines, assemblies, spindles, precision ball screws, handle and universal joints, and drive shafts for industry. Additionally, Koyo performs applied engineering research and production engineering research. 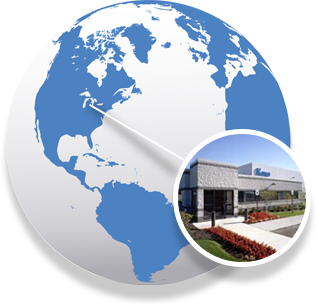 We at Koyo Machinery are committed to complete customer satisfaction by providing superior products and service through our commitment to ever-improving technological advancements and innovative employees. Our mission is to become the leader within our industry by building lasting customer relationships and by being the best in everything we do.